Oj oj oj! Today's home tour is a real goodie! It's full of soul, interesting details and lovely, rich accent colours like 'muddy puddle' (great name for paint in a children's room, don't you think"! ), 'rum caramel' and 'soft maplewood'. Although it's located in West Wales, UK, it has a distinct Scandinavian look and feel thanks to the white washed backdrop and delightful Nordic pieces, which of course, makes my heart sing with joy this grey, rainy Tuesday in Malmö! 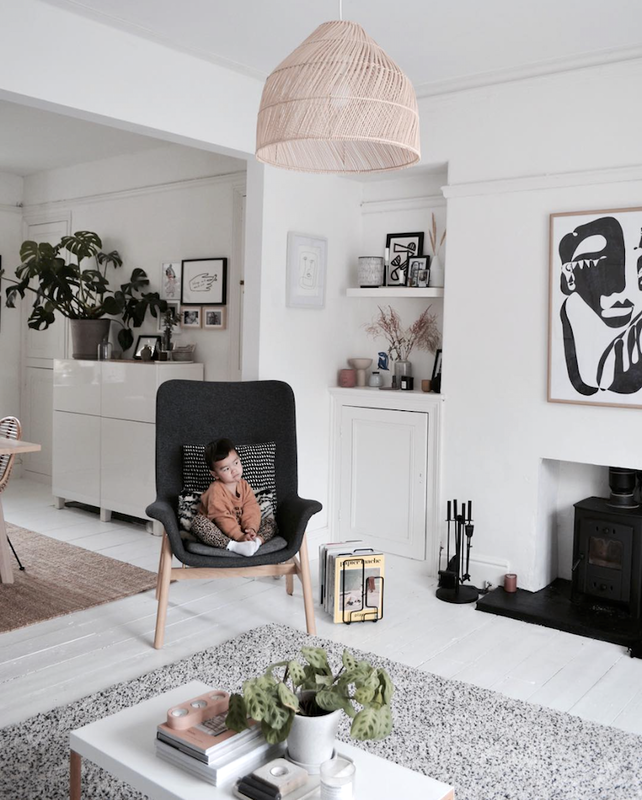 The simple and relaxed space belongs to Cassie Chung, who has amassed quite a following on instagram thanks to daily updates of her interior and fab wardrobe style! Cassie takes inspiration from books, magazines, Pinterest, travel and blogs to evolve her style and create a wonderful family home which she shares with her husband and three children - Lyssia, Emmy & Mio as well a cat and dog (quite the full house!). Enjoy!